Lightning can damage and even destroy trees, and resulting fires can lead to the destruction of forests and homes. If you have a tree with particular historical or sentimental value, or a tree that borders or touches a building, it is a good idea to install a lightning protection system to avoid the risk of destruction or fire. Lightning protection systems employ a copper rod that channels the positive charge of the ground to the air above the tree, where it meets the negative charge of the lightning bolt. The rod then conducts the lightning bolt down its length and into the ground, neutralizing it and preventing it from harming the tree. It is highly recommended that a professional install your lightning protection system, as improperly installed systems can actually increase the risk of lightning strikes. I didn't know lightning protection was available for trees. How long have these systems been used? Lightning protection for trees has been used as far back as the 1800’s. Years ago when trees were more plentiful, it did not seem as important to protect them from one nature’s most destructive forces – lightning. Why aren't more trees protection? It is basically a matter of education and public awareness. Many owners who have had valuable trees struck and damaged or destroyed by lightning were basically not aware of lightning protection systems for trees. “I didn’t know I could protect them – why didn’t someone tell me?” Is a common remark. Unfortunately, many arboricultural and tree expert firms have not aggressively added lightning protection to their established business. The trees, which you value most for historical or sentimental reasons or trees near a valuable building or residence that aesthetically adds value to your property. 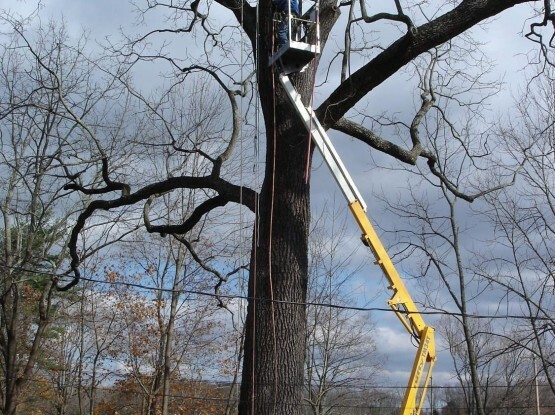 How does a lightning protection system for trees work? The same principal as a lightning protection system on a building. 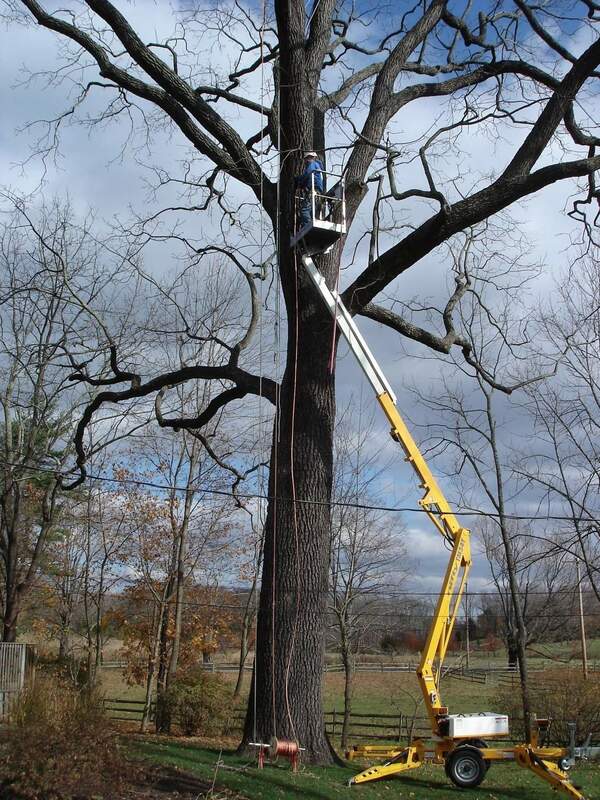 A tree lightning protection system does not attract lightning nor does it prevent a lightning strike from occurring. 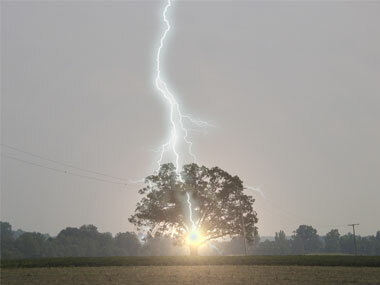 A tree intercepts the lightning bolt between the cloud and the earth and harmlessly conducts it to ground without damage to the tree. Will a system in my tree also protect my house? No. A tree system will protect the tree only. If someone is interested in protection on a nearby house or out building, one should consider a separate system for this structure. If the tree is near the house, then the two systems should be interconnected to provide a common ground. 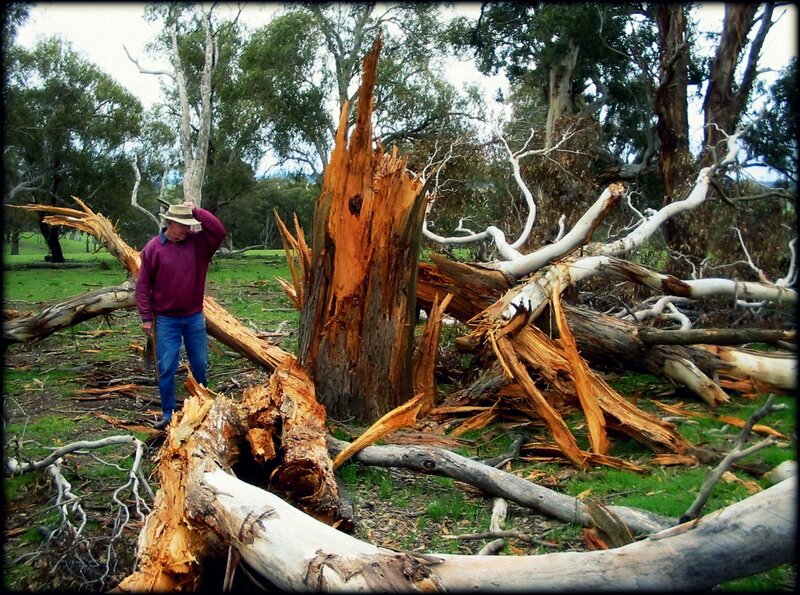 How many years will a lightning protection system for trees last? 10, 20 or 30 years or more! With periodic checks and inspection, the system should last as long as you own the property. 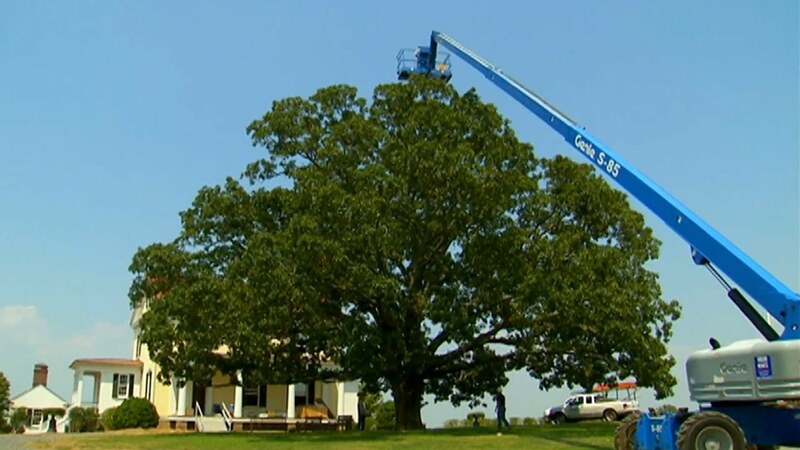 Many tree systems in trees surrounding historic landmarks or in recreational areas, i.e. Mount Vernon, Washington’s home; Monticello, Jefferson’s home; and the hermitage, Jack son’s home have all been in service from 50-100 years. In some instances, the tree growth has encompassed the copper down – lead cables and conductors and the systems are now concealed. This does not impair the efficiency of the system and stately trees, which have been played Washing, Jefferson and Jackson, still stand around these magnificent estates.